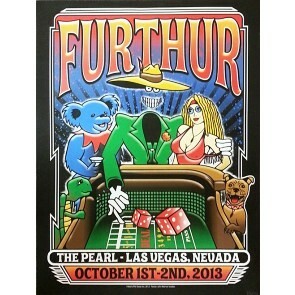 Don't let that deal go down without getting this limited edition and numbered poster from the 2 night Furthur 2013 Las Vegas concerts at the Pearl Theatre. This was the official concert tour poster. It measures approximately 22 "x 15". Artwork design by John Warner.